Kid-sized for shredding single track, the Hotrock 24 XC Boy comes equipped with everything young rippers need to start riding with the big boys. >Custom air spring suspension fork with Multi-Circuit Damping offers high-level performance for smooth compression and rebound, no matter the terrain. >24" alloy wheels are designed to withstand years of use. Specialized A1 Premium Aluminum, double-butted, formed down tube/top tube, externally relieved head tube, forged dropouts w/ replaceable hanger, disc mount. SR Suntour XCT-JR, custom Multi-Circuit Damping, coil/MCU spring, 50mm travel, hydraulic lockout, preload adjust, 1-1/8" steerer, alloy lowers, Hi-Ten 25.4mm stanchions, direct press type dust seal, disc and V-brake mount. Ahead, forged alloy, 4-bolt, 20-degree rise. Specialized, flat bar, alloy, 8-degree backsweep, 4-degree upsweep, 25.4mm. Tektro, alloy, linear pull compatible. SR Suntour, 3-speed, high mount. SRAM 3.0 Comp, Grip Shift, 7-speed. SR Suntour XCT-JR, replaceable outer ring, 42/32/22T, w/ chainguard. Square taper, cartridge bearings, 68mm. Nylon, loose ball bearings, 9/16", w/ reflectors. Alex, 24", alloy double-wall, pin joint, 32h. Forged alloy, double-sealed, ground race, QR, 32h. Forged alloy, freewheel type, double-sealed, ground race, QR, 32h. 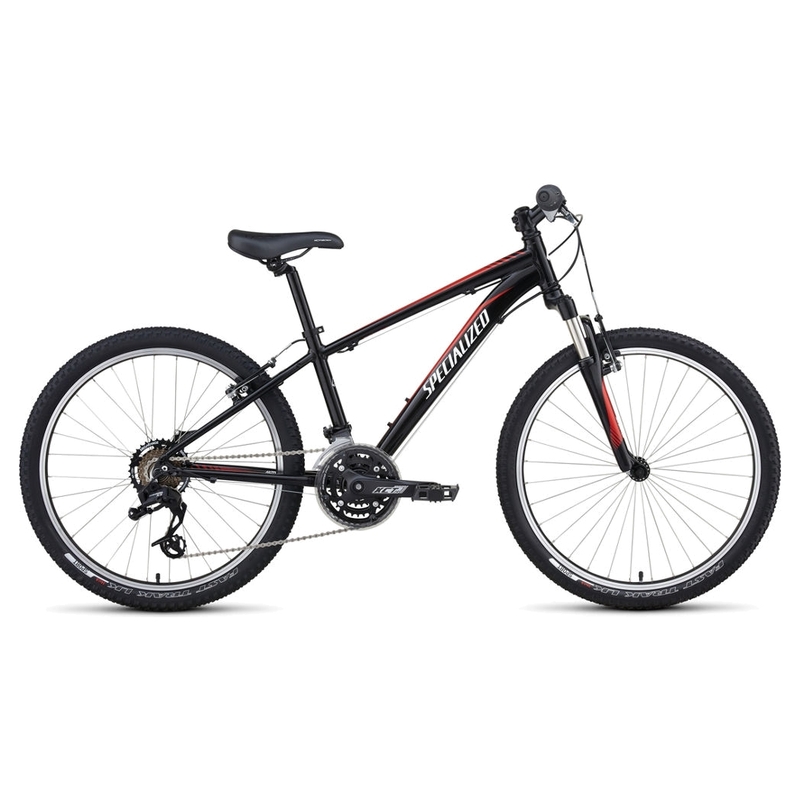 Specialized Fast Trak LK Sport, 60TPI, wire bead, 24x1.8".